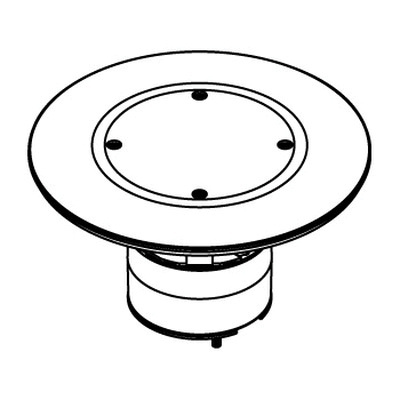 Wiremold RC7 Series Abandonment plug assembly includes intumescent fire-stop material for maintaining the fire-classification of the floor, integral retainer ring for preventing the unit from pulling up through the floor and a black die-cast aluminum cover. It has a dimension of 7-Inch Dia x 3-3/16-Inch. This plug assembly is great for abandoning an open 3-Inch die hole. Housing assembly is UL listed, ADA compliant and meets US and Canadian safety standards. * Inventory displayed is accurate as of 04/26/2019 05:40 PDT.